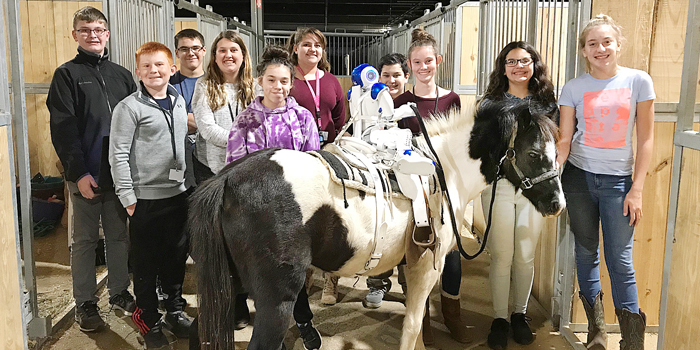 From left are Owen Stevens, Keller Bailey, Wrigley Starkweather, Savannah Schuman, Roxane Malagon, Vanesa Perez Cabrera, Aldo Medina, Katie McKibbin, Angel Tovar and Milana Whitaker. 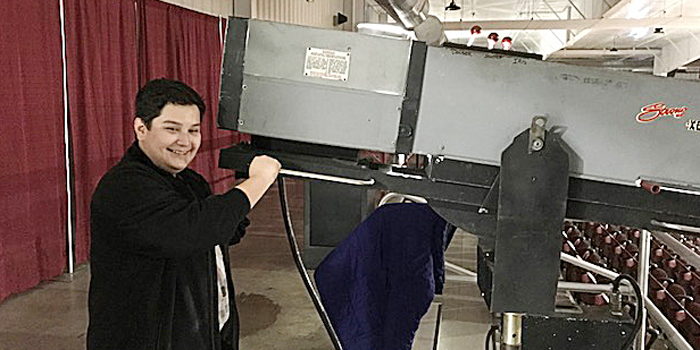 SHIPSHEWANA — A group of students from Edgewood Middle School are attending events at the Michiana Event Center in Shipshewana this week to receive a valuable, hands-on education in a variety of subjects. 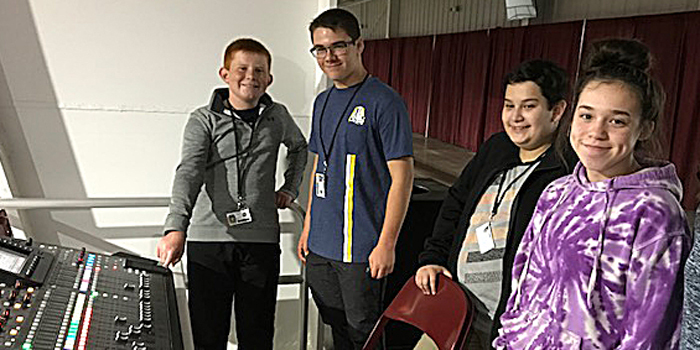 Richcreek said the students traveled to the event on Tuesday, Wednesday and Thursday, Oct. 16-18 and will be returning during the weekend. Richcreek’s students were excited for the experience. The Masquerade of the Horse features world-class talent that includes Dan James who has been featured on Australia’s Got Talent, former stars from Dixie Stampede, Barnum & Bailey Circus, Cavalia, premier sweethearts of the top rodeos in the country, along with other performing artists. In addition, the event featured highflying aerial acts, death-defying tricks and roman riding, world-class liberty reining and other rodeo specialty acts. Aldo Medina learns how to use a spotlight at the MEC. From left are Keller Bailey, Wrigley Starkweather, Aldo Medina and Roxane Malagon.